There’s nothing quite like starting your day with a cup of coffee – the smell of the freshly ground beans, the warmth of the mug in your hand, it just helps you get the day started off right. My husband and I have been fond of roasting our own coffee at home for the past few years, since we received a coffee roaster as a gift. 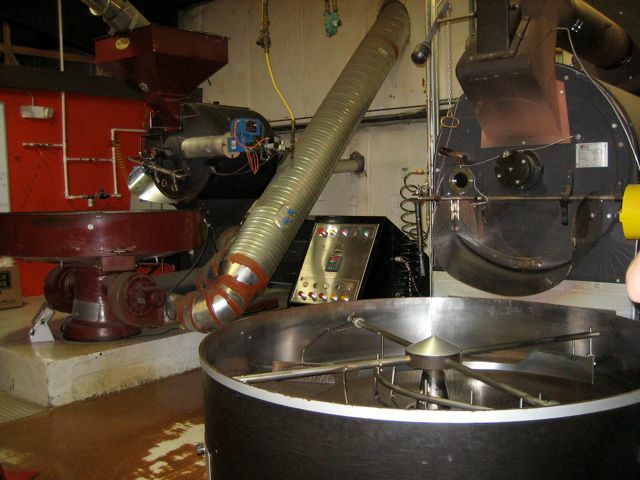 The smell of coffee roasting is quite unique. A raw, tangy grassy smell gives way to a nutty, smoky aroma. And if you get the timing or the temperature wrong, the acrid burning scent takes over! Actually, most coffee roasters need to be used outside (or to be ventilated) because the roasting process creates such a large amount of smoke. We have two coffee roasting companies here in the Triangle that are working to bring us sustainable, fairly traded coffee and I’ve gotten a glimpse of both. Counter Culture Coffee (@Counter_Culture) offers free coffee cuppings at their offices in Durham every Friday at 10AM, followed by a tour. 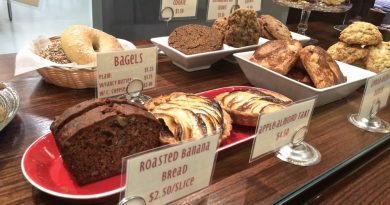 They also have cuppings at Busy Bee on Saturday mornings at 11AM. Larry’s Beans also occasionally holds tours of their Raleigh roastery – reservations are required. Counter Culture starts off by explaining the cupping process and giving you a sheet of paper to jot down notes about the flavors and aromas in the coffees that you’ll be slurping. You write down your impressions first for the way the freshly ground coffee smells, then after you “break the crust”. This is dipping your spoon to break apart the head of grinds that rise to the top after the hot water has been added. This is the peak moment for the aromatics. 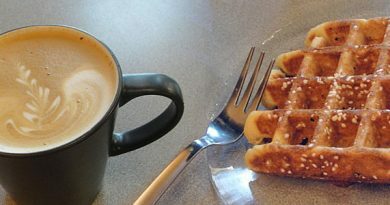 The appropriate way to “cup” or sample, a coffee (if I recall correctly) is to noisily slurp the coffee into your mouth from a wide spoon like a soup spoon. This evenly distributes the coffee across all areas of your tounge so you can taste all of the flavor elements. After jotting all your notes then it’s time to share your thoughts on each coffee with the group. One person would call out “blackberries” and another would mention “caramel”. It really is a sharing moment. 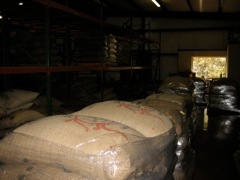 Then you learn more about the different coffees come from and how they are grown and processed. Learning about the source of the coffee beans and seeing images of the farmers and plantation puts it all into perspective. Coffee farming is really back-breaking work and it’s all that much harder when the farmers take care to only pick the beans at the perfect ripeness.Now, heavily caffeinated, it’s time for the optional tour. Notice the caffeine tattoo on our tour guide’s wrist! These roasters are some bad mamma-jammas! Pingback:Bull City Billionaires - Everyone wants to know about the Bull City! I’ve been meaning to go to one and blog on it forever. Sounds like you enjoyed it, so more motivation for me to go! I don’t remember! 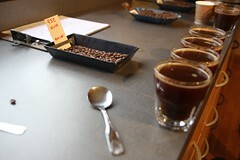 I actually went to this cupping while ago, but I’d like to attend another one. 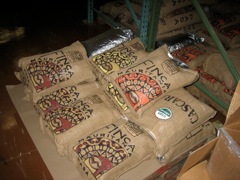 They let me take home some of the Finca Mauritania green beans to roast in my roaster and they were delicious. I may do a post on home roasting, it is really fun. 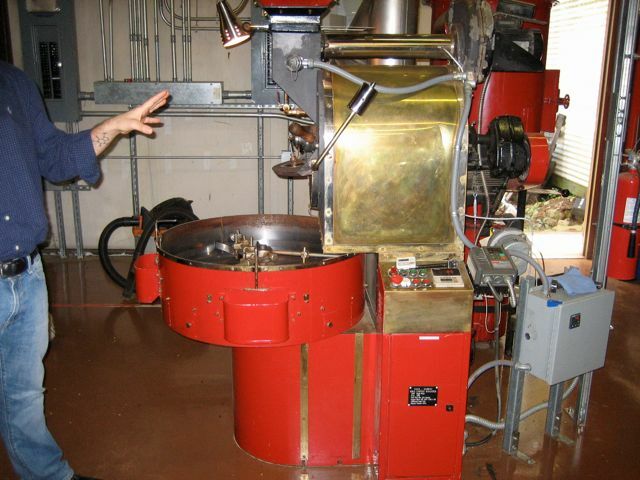 Did you have a favorite roast that was featured? I’m excited to go and check this out now! Thank you so much for the details. I have never been to a cupping and the explanation will help to not make me look like such a big goof!